The job market is so competitive that you need to do everything in your power just to get a foot in the door for an interview. With the value of college degrees being watered down by increased supply, you should tweak your resume in ways that will make it stand out? also you can use for this resume help to make this process easier. Irrespective of the place you intend work, you need to show that you can organize yourself and your space. Clutter of any kind is not only unprofessional, it also creates distractions. In the same way, the job you are applying for will demand strong focus, great concentration, good memory, and clear and coherent thinking. All of these traits show that you are alert and mentally adept. To show that you can process information of any kind quickly, translate your thoughts to articulate and clear communication, and correctly focus on the fine details of any task, add the following words to your resume. At any workplace, deadlines are set. They are mostly designed to control projects, deliverables, and tasks. By so doing, they ensure that the organization’s operations continue flowing smoothly and freely. For instance, if you are applying for a job in a restaurant or in retail, you need time management skills to ensure that customers are served promptly and kept pacified when things get busy. Therefore, you can be sure that all potential employers will be looking to see whether you have good time management. Without it, the company will fail in efficiency, miss important opportunities due to lateness, and lose clients eventually. Time management often requires that you have a good sense about what to do, when, and with whom. It also forces you to allot time correctly for each task you need to handle. However, there is more to time management than simple scheduling. Those who are good at this skill often bring the ability of knowing when and how to delegate, how to think quickly, and how to remain disciplined. They also know the best strategies for dealing with unplanned events, emergencies, distractions, and procrastination. In conclusion, your potential new employer will screen your resume to see if you have the ability to work in a fast-paced or stressful environment and to successfully handle large workloads. Show them you can by writing the above organizational skills on your resume. Read Complete Post Here - How to ensure long term success in a sales career? This role will be based out of Gurgaon and the incumbent will be a part of the Product and Engineering team within the Information Technology Services (ITS) organization. The incumbent will be a part of the development team that manages the GSDB(Global Solution Data Base) application. The incumbent is expected to quickly scale up and contribute to delivering the business requirements as part of the execution involving application releases, technical upgrades, functional enhancements, Deployments and Support. Ability to work with teams within the vertical and teams from across other verticals to perform global systems integration is mandatory. The eligible candidates who are interested to participate in this process are requested to confirm their participation By Submitting Resume And Click On Apply Now. 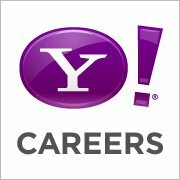 Think about impacting 1 out of every 2 people online—in innovative and imaginative ways that are uniquely Yahoo!. Now’s the time to show the world what you've got. Put your ideas to work for over half a billion people. This position requires an aggressive troubleshooter who can multitask on problems of varying difficulty, priority and time-sensitivity. This versatile position requires familiarity with all the support concepts of busy web sites: Systems and database administration; Networking; Process troubleshooting; QA and rollout automation. Strong knowledge of UNIX systems and hands on commands. Knowledge on web servers, DNS, firewalls, TCP/IP and other protocols. This free app contains a number of tools to help you find your ideal job. Technology used includes progress tracking, salary comparisons and top city search. Jobs can be searched according to industry and specific job titles. This app also allows you to narrow down your search by hours and availability. For instance, you can search for freelance, part-time and/or full-time positions. Use this app to take advantage of your LinkedIn contacts, discovering possible job opportunities through your social network and friends. You can utilize your address book to your full advantage by using this app. open positions, all which have been thoroughly checked out by the company before being included in the database. All positions are current and open for receiving applications, saving you time and frustration in finding one that is compatible for your skills and background. 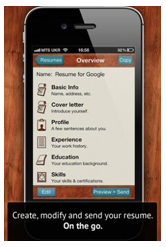 The app has the capability of preparing your resume in a professional manner, which can save you time and money. Both the iPhone 5 and iOS 6 platforms are supported by this free app. 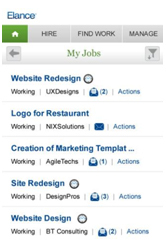 You can search for jobs by location, title, keywords and hours. Once you find an interesting position, you can click on the job title for more information. This free job app is an added bonus to your online Monster.com account, by offering full functionality. 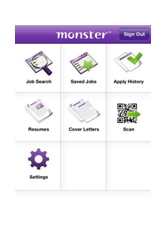 The app makes keeping track of your potential job opportunities easy and convenient on mobile devices. It automatically syncs with your online Monster account so your job hunting tools and information are immediately available as needed. This app gives you immediate remote access to your saved resumes, cover letters, job alerts, highlighted job postings, and application history. It allows you to search for jobs by location, keyword and title. You can opt to login with your Facebook account, also. The app is compatible with iPod touch, iPad and iPhone and requires an iOS 4.0 or higher. Business cards play a crucial role in providing contact information. This app, which costs $5, was developed by IM+. 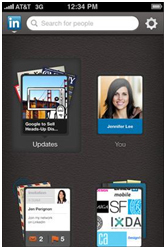 It allows you to snap pictures of a business card on your iPhone and/or iPad. 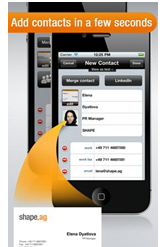 You import the business card information directly into your iOS address book. It easily integrates with your existing Customer Relation Management systems and LinkedIn accounts. Your job hunting depends upon a professional-appearing resume. This app allows you to quickly create, save, preview, modify and email an impressive resume from an iPad or iPhone/iPod Touch. Sections include cover letter, basic info, profile, experience, education and skills. LinkedIn is a popular online networking site geared towards business. The LinkedIn app allows you to post a resume, search contacts working in industries you desire, and email profiles to new network connections. 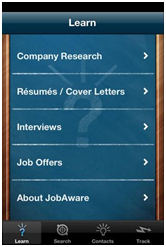 Use the app to visit company profiles and find if there are available positions you can apply for. Ask your network for referrals. Use the app to download your networking connections to your mobile device's address book. LinkedIn also offers an app known as CardMunch to organize business card collections into electronic formats, all mobile device-friendly. Utilize this. 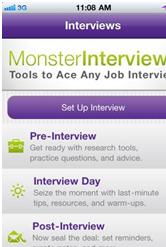 This free app, offered by Monster.com, prepares you for all aspects of the interview, ranging from the pre-interview stage to the post-interview stage. This app contains a variety of questions, with appropriate answers you can practice. It also discusses how to dress for the interview. If needed, you can download your favorite song and listen to it as you go through the virtual tour and tutorial for this powerful app. This free app uses your Facebook personal information to develop a targeted jobs list that can save you time and frustration during your job search. Your personal information is whatever you have chosen to include in your Facebook profile and any links and likes you have clicked on. One drawback to this app is the fact that if you want to apply for jobs or save a job search, it reroutes users back to the browser. This app, developed by motivator guru Stephen R. Covey, provides a wide array of organizational and motivational tools to keep your job search - and you - on track to achieving your goals and objectives. The app is a results-oriented, action-centered program that helps you learn about your strengths and weaknesses, build a positive support network and determine how you can contribute best. 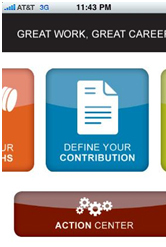 Use this app to locate career development resources that can help you get ahead. E-Lance is a well-known site geared towards freelancers. You can develop a professional profile, bid and apply for work, plus research company information. If freelancing is your cup of tea, consider purchasing this valuable app for only $2. 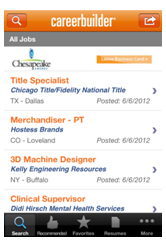 You can use the app to browse through currently available job listings with your mobile device. The app allows you to then email yourself the job listings so you can pursue them further when back at your home computer. With so many apps available for job seekers, utilize as many as possible to make your searching as fruitful as possible. About Author:- Jamie Cody is a writer for centernetworks and often writes about technology and reviews on various products and services like iPage web hosting. 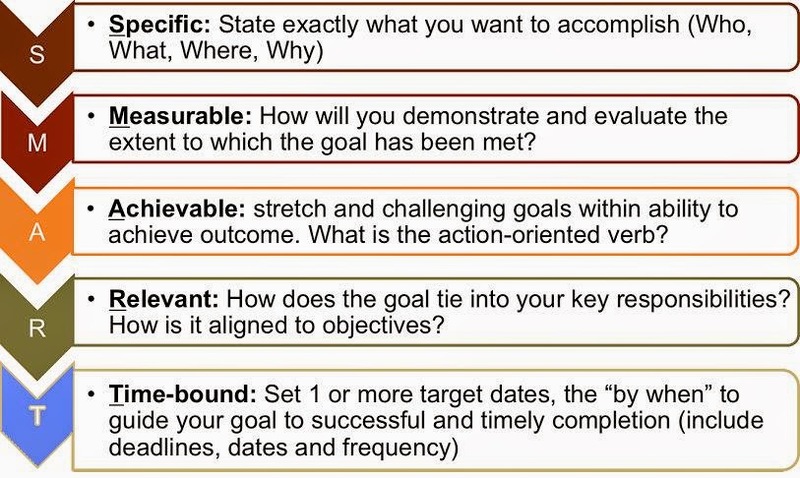 Participating during all aspects of the product life-cycle from specification to production release. Working with Developers, Program Managers and Product Managers to design and implement test and validation strategies. Contributing to requirements gathering, specification reviews and dev design in the early stages of the project. Identifying opportunities for process, tools and test methodology improvements and drive those from concept to implementation. About Expedia :- Expedia, Inc. is the world’s leading online travel company, empowering business and leisure travelers with the tools and information they need to easily research, plan, book and experience travel. Expedia, Inc. also provides in-destination concierge service and activity desks for travelers. The Expedia, Inc. portfolio of brands includes: Expedia.com®, hotels.com®, Hotwire®, Egencia™, Expedia Local Expert™, Classic Vacations® and eLong™. Expedia, Inc.’s companies operate more than 50 global points of sale with sites in North America, South America, Latin America, Europe, Middle East, Africa and Asia Pacific. Expedia, Inc. is a component of the S&P 500 index. We are looking for candidate with good communication.We are looking for candidates who has exposure to Drupal Migration. ORACLE is Hiring! In Bangalore offices ORACLE is looking for a bright student to join for a 6 month internship working as a Data Scientist. What is a Data Scientist?? Have a look at our infographic below, if this opportunity sounds of interest email your resume to manognya.reddy@oracle.com . So.Cl is a new social networking site from Microsoft and the thing is that you can only access the site if you have invitation. e-Students Guide is giving away 7 So.Cl Exclusive invitations to the 7 lucky winners. So still struggling to make account on So.Cl than grab this invites and explore yourself to this new social networking site. So What is So.cl ? So.cl (pronounced "social") is an experimental research project, developed by Microsoft’s FUSE Labs, focused on exploring the possibilities of social search for the purpose of learning. So.cl helps you create rich posts, by assembling montages of visual web content.To encourage interaction and collaboration, So.cl provides rich media sharing, and real time sharing of videos via "video parties." We expect students to continue using products such as Facebook, Twitter, LinkedIn and other existing social networks, as well as Bing, Google and other search tools. So.Cl is all about to encourage students to reimagine how our everyday communication and learning tools can be improved, by researching, learning and sharing in their everyday lives. So.cl can be used by the general public, but it is our goal to focus on learning communities. YOUR GRADUATE CAREER WITH ORACLE STARTS RIGHT NOW!! Oracle Corporation is the world's leading supplier of software for information management, and the world's second largest independent software company. With annual revenues of more than $US 35 billion, the company offers its database, tools and application products, along with related consulting, education, and support services. At Oracle, it is our ongoing commitment to build a pipeline of talent capable of achieving our vision and future success. An important component of this commitment is bringing in young and bright individuals who share our values and goals and then equipping them with necessary business knowledge and skills to take on future responsibilities. Once again Oracle's Graduate Program will be running in 2012 in Australia! The Oracle Australia Graduate Development Program is a one-year program consisting of orientation, formal training, project rotations in one core line of business and finally job placement. The formal training is a combination of structured development programs on soft skills and functional competencies via various delivery formats. Graduates are also expected to work in a team environment and complete multiple projects addressing real business challenges and at the time gaining a broad business understanding. Successful candidates will begin with us in July/August 2012. For our Australia program we are hiring in our North Ryde and Melbourne offices. Resume submissions are being accepted now!! First Round interviews will take place in March 2012 with Final Round interviews in April 2012. The Australia Graduate Program is open to Australian Residents and Australian Citizens who are either in the final year of their studies or have recently graduated in 2011.